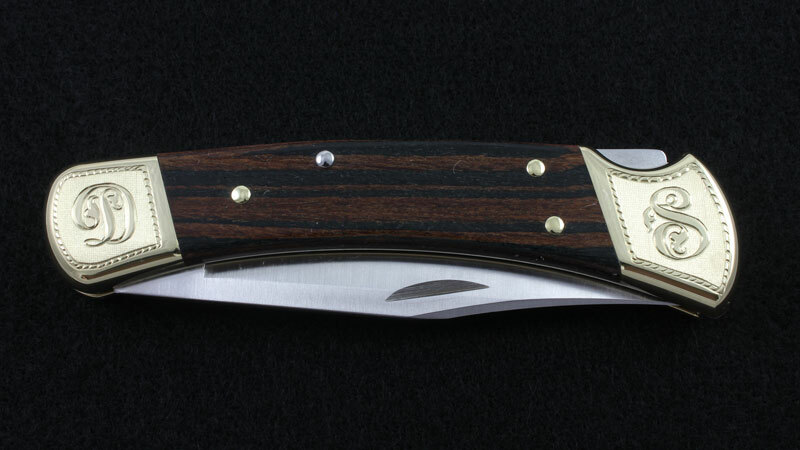 This Buck 110 Folding Hunter is an American Original!The 110 was first made by Buck Knives in 1964, introducing Buck’s breakthrough locking folder system, and remains a mainstay in the line today. 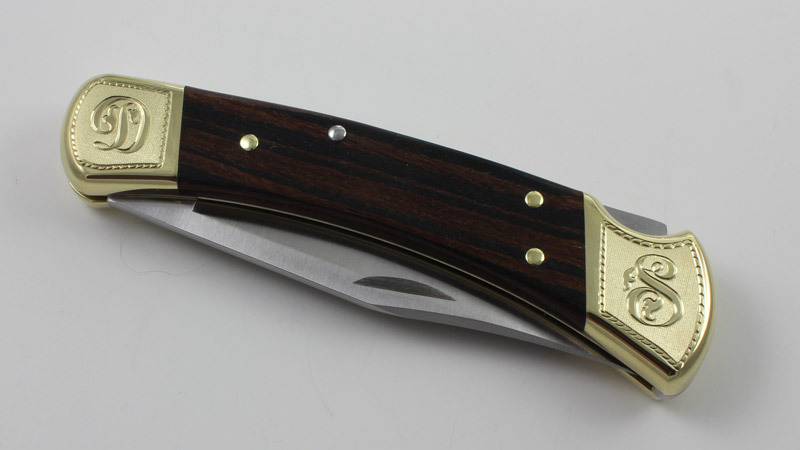 The 110 features a 3-3/4″ clip point 420HC Stainless Steel Blade. 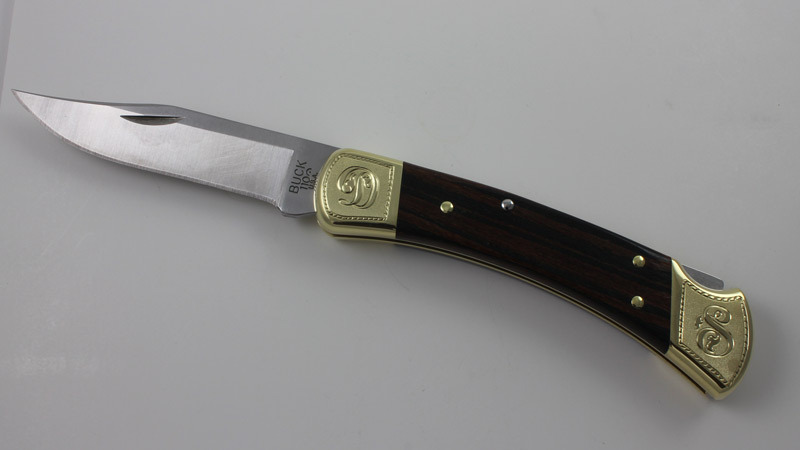 It is 4-7/8″ long closed and weighs 7.2 oz. 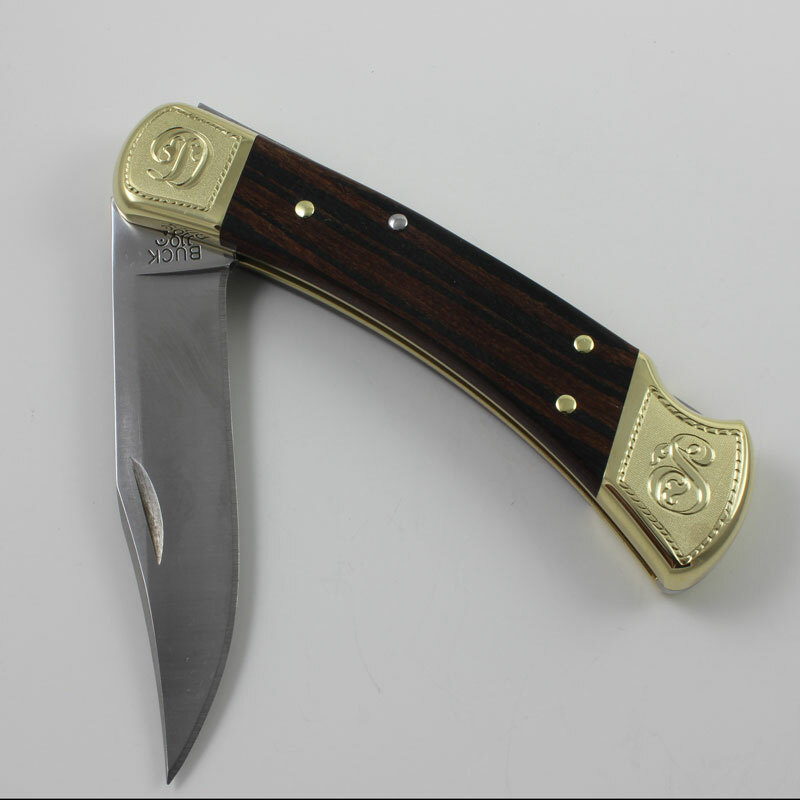 The 110 Folding Hunter features natural woodgrain handles with polished brass bolsters, and comes with a black leather sheath. 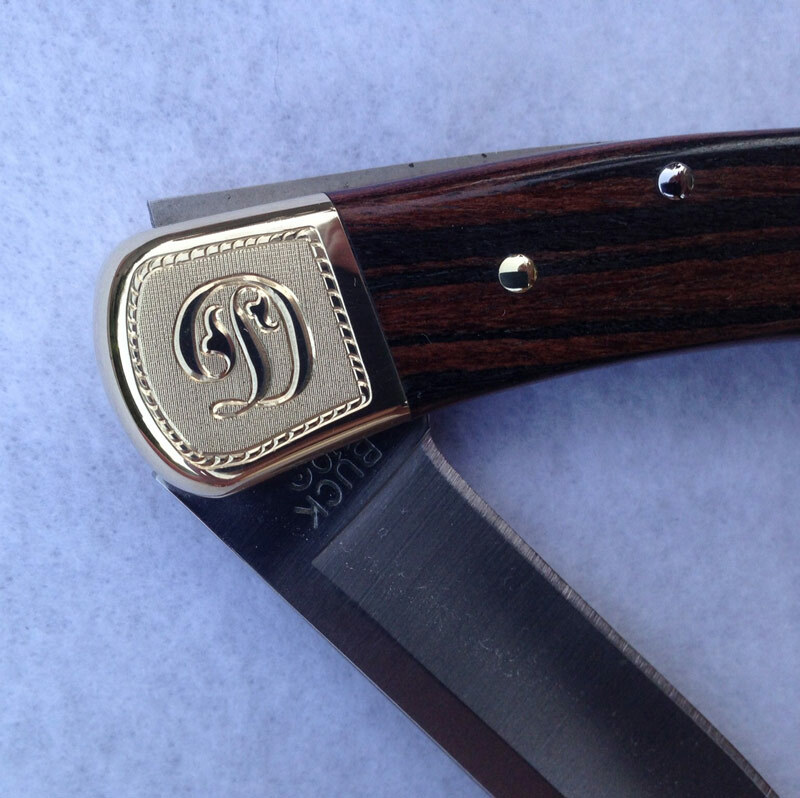 Engraving: The brass bolsters on this brand new classic knife are hand engraved with the initials of your choice in the beautiful monogram lettering style shown. 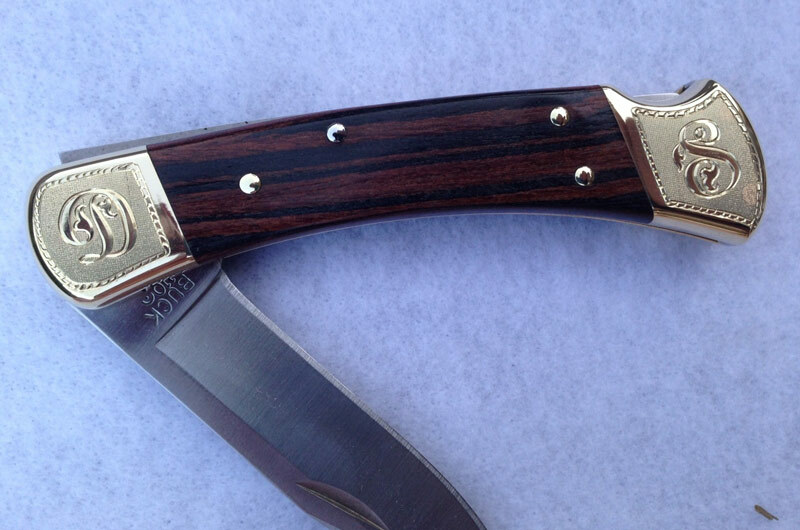 You may choose to have one side or both sides of the knife engraved. This item makes a unique, one of a kind gift to a loved one or to yourself! It really has that WOW factor when you hold it in your hand!